This season tiger-print is having a major moment. 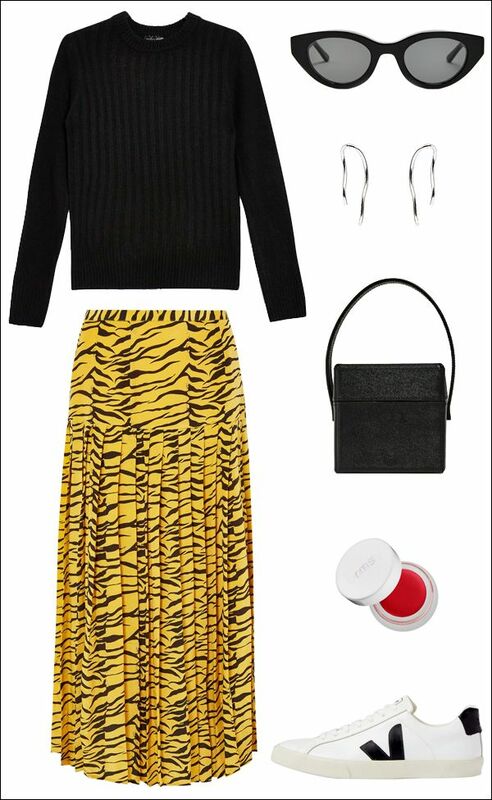 One of the coolest ways to pull off the trend is with a tiger-print skirt. Keep it feeling grounded with a classic sweater and classic sneakers. Keep your accessories fashion-forward for the ultimate look.